These design patterns are useful for building reliable, scalable, secure applications in the cloud. Each pattern describes the problem that the pattern addresses, considerations for applying the pattern, and an example based on Microsoft Azure. Most of the patterns include code samples or snippets that show how to implement the pattern on Azure. However, most of the patterns are relevant to any distributed system, whether hosted on Azure or on other cloud platforms. Data management is the key element of cloud applications, and influences most of the quality attributes. Data is typically hosted in different locations and across multiple servers for reasons such as performance, scalability or availability, and this can present a range of challenges. For example, data consistency must be maintained, and data will typically need to be synchronized across different locations. Good design encompasses factors such as consistency and coherence in component design and deployment, maintainability to simplify administration and development, and reusability to allow components and subsystems to be used in other applications and in other scenarios. Decisions made during the design and implementation phase have a huge impact on the quality and the total cost of ownership of cloud hosted applications and services. Cloud applications run in a remote datacenter where you do not have full control of the infrastructure or, in some cases, the operating system. This can make management and monitoring more difficult than an on-premises deployment. Applications must expose run-time information that administrators and operators can use to manage and monitor the system, as well as supporting changing business requirements and customization without requiring the application to be stopped or redeployed. Resiliency is the ability of a system to gracefully handle and recover from failures. The nature of cloud hosting, where applications are often multi-tenant, use shared platform services, compete for resources and bandwidth, communicate over the Internet, and run on commodity hardware means there is an increased likelihood that both transient and more permanent faults will arise. Detecting failures, and recovering quickly and efficiently, is necessary to maintain resiliency. Security is the capability of a system to prevent malicious or accidental actions outside of the designed usage, and to prevent disclosure or loss of information. Cloud applications are exposed on the Internet outside trusted on-premises boundaries, are often open to the public, and may serve untrusted users. Applications must be designed and deployed in a way that protects them from malicious attacks, restricts access to only approved users, and protects sensitive data. Microsoft Dynamics 365 for Marketing is a cloud-based marketing application that helps manage and guide the customer along their journey through the sales funnel – from the first contact through to close. With Adobe Marketing Cloud, your business can create deliver engaging customer experiences across all touch-points. Creating a seamless customer experience starts with well-connected tools. Unify your sales and marketing with Adobe Marketing Cloud and Dynamics 365 for a complete view of your customer. Know about all the interactions customers have had with you to help create a seamless experience for them. Whether they’re responding to your marketing campaigns or speaking with your sales team. Bots provide an experience that feels less like using a computer and more like dealing with a person – or at least an intelligent robot. They can be used to shift simple, repetitive tasks, such as taking a dinner reservation or gathering profile information, on to automated systems that may no longer require direct human intervention. Users converse with a bot using text, interactive cards, and speech. A bot interaction can be a quick question and answer, or it can be a sophisticated conversation that intelligently provides access to services. Bots are a lot like modern web applications, living on the internet and use APIs to send and receive messages. What’s in a bot varies widely depending on what kind of bot it is. Modern bot software relies on a stack of technology and tools to deliver increasingly complex experiences on a wide variety of platforms. However, a simple bot could just receive a message and echo it back to the user with very little code involved. Bots can do the same things other types of software can do – read and write files, use databases and APIs, and do the regular computational tasks. What makes bots unique is their use of mechanisms generally reserved for human-to-human communication. As with any type of software, having a thorough understanding of the goals, processes and user needs is important to the process of creating a successful bot. Before writing code, review the bot design guidelines for best practices and identify the needs for your bot. You can create a simple bot or include more sophisticated capabilities such as speech, natural language understanding, and question answering. Additionally, we provide command line tools to help you to create, manage, and test bot assets. These tools can manage a bot configuration file, configure LUIS apps, build a QnA knowledge base, mock a conversation, and more. You also have access to a variety of samples that showcase many of the capabilities available through the SDK. These are great for developers looking for a more feature rich starting point. Test your bot locally with the emulator. The Bot Framework Emulator is a stand-alone app that not only provides a chat interface, but also debugging and interrogation tools to help understand how and why your bot does what it does. The emulator can be run on a locally alongside your in-development bot application. Test your bot on the web. Once configured through the Azure portal your bot can also be reached through a web chat interface. The web chat interface is a great way to grant access to your bot to testers and other people who do not have direct access to the bot’s running code. When you are ready for your bot to be available on the web, publish your bot to Azure or to your own web service or data center. Having an address on the public internet is the first step to your bot coming to life on your site, or inside chat channels. Connect your bot to channels such as Facebook, Messenger, Kik, Skype, Slack, Microsoft Teams, Telegram, text/SMS, Twilio, Cortana, and Skype. Bot Framework does most of the work necessary to send and receive messages from all of these different platforms – your bot application receives a unified, normalized stream of messages regardless of the number and type of channels it is connected to. Use the data collected in Azure portal to identify opportunities to improve the capabilities and performance of your bot. You can get service-level and instrumentation data like traffic, latency, and integrations. Analytics also provides conversation-level reporting on user, message, and channel data. Skype for Business, formerly Lync 2013, for Windows Phone extends the power of Lync and Skype for Business to your mobile device – including voice and video over wireless, rich presence, instant messaging, meetings, and calling features from a single, easy-to-use interface. Anyone can use the Skype for Business Mobile app when invited to a Skype for Business or Lync 2013 meeting. However, you must have a Skype for Business or Lync account in order to use (and enjoy) the full capability of the Skype for Business Mobile app. Also, some functionality might require an update to Lync or Skype for Business Server or might not be available to all users. If you’re not sure about your account status, please contact your IT department. 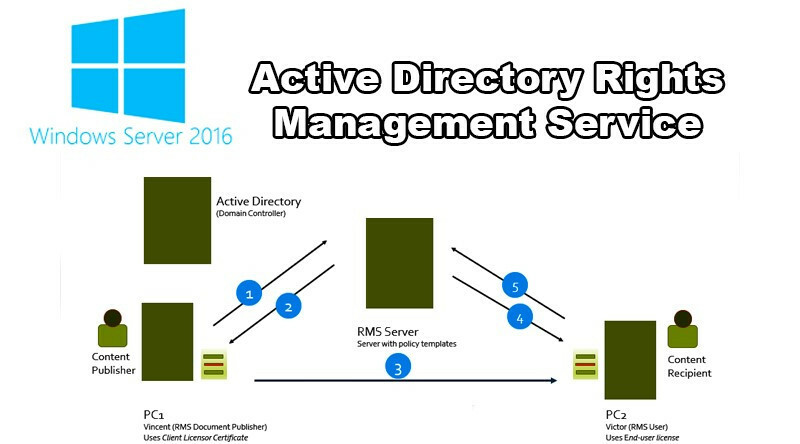 The managed instance deployment option combines advanced security features provided by Azure cloud and SQL Server Database Engine. 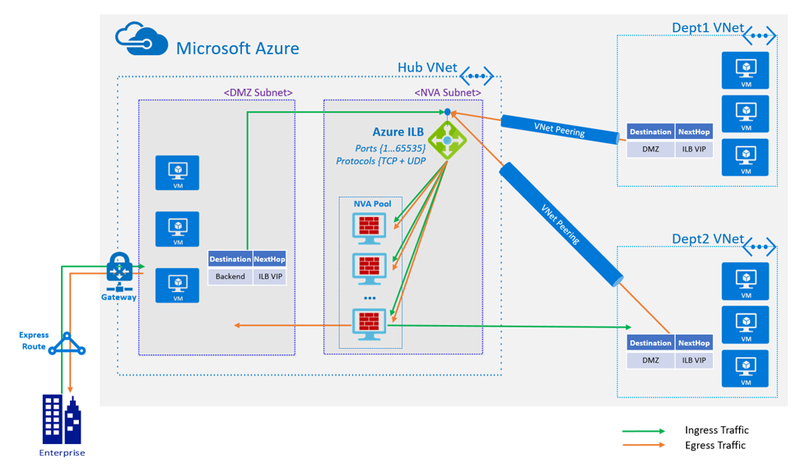 Native virtual network implementation and connectivity to your on-premises environment using Azure Express Route or VPN Gateway. SQL endpoint is exposed only through a private IP address, allowing safe connectivity from private Azure or hybrid networks. Single-tenant with dedicated underlying infrastructure (compute, storage). Azure SQL Database provides a set of advanced security features that can be used to protect your data. Managed instance auditing tracks database events and writes them to an audit log file placed in your Azure storage account. Auditing can help maintain regulatory compliance, understand database activity, and gain insight into discrepancies and anomalies that could indicate business concerns or suspected security violations. Data encryption in motion – a managed instance secures your data by providing encryption for data in motion using Transport Layer Security. In addition to transport layer security, the managed instance deployment option offers protection of sensitive data in flight, at rest and during query processing with Always Encrypted. Always Encrypted is an industry-first that offers unparalleled data security against breaches involving the theft of critical data. For example, with Always Encrypted, credit card numbers are stored encrypted in the database always, even during query processing, allowing decryption at the point of use by authorized staff or applications that need to process that data. Threat detection complements auditing by providing an additional layer of security intelligence built into the service that detects unusual and potentially harmful attempts to access or exploit databases. You are alerted about suspicious activities, potential vulnerabilities, and SQL injection attacks, as well as anomalous database access patterns. Threat detection alerts can be viewed from Azure Security Center and provide details of suspicious activity and recommend action on how to investigate and mitigate the threat. Dynamic data masking limits sensitive data exposure by masking it to non-privileged users. Dynamic data masking helps prevent unauthorized access to sensitive data by enabling you to designate how much of the sensitive data to reveal with minimal impact on the application layer. It’s a policy-based security feature that hides the sensitive data in the result set of a query over designated database fields, while the data in the database is not changed. Row-level security enables you to control access to rows in a database table based on the characteristics of the user executing a query (such as by group membership or execution context). Row-level security (RLS) simplifies the design and coding of security in your application. RLS enables you to implement restrictions on data row access. For example, ensuring that workers can access only the data rows that are pertinent to their department, or restricting a data access to only the relevant data. Transparent data encryption (TDE) encrypts managed instance data files, known as encrypting data at rest. TDE performs real-time I/O encryption and decryption of the data and log files. The encryption uses a database encryption key (DEK), which is stored in the database boot record for availability during recovery. You can protect all your databases in a managed instance with transparent data encryption. TDE is SQL Server’s proven encryption-at-rest technology that is required by many compliance standards to protect against theft of storage media. Dynamics 365 for Customer Service gives you a complete 360-degree view of the customer, including full history of interactions, user preferences, and relevant customer information enables agents to engage with the consistency and personalization that customers expect. Your agents are constantly on-the-go in today’s fast-paced work environment. Their tools should be able to keep up. Therefore, provide a single user interface for agents to handle service interactions, whether they use their desktop or mobile device with Dynamics 365 for Customer Service. Empower everyone to automate, streamline, and transform processes with rich forms, workflows, and custom mobile apps. Products in this Solution. SharePoint, PowerApps, Flow. Managed instance is a new deployment option of Azure SQL Database, providing near 100% compatibility with the latest SQL Server on-premises (Enterprise Edition) Database Engine, providing a native virtual network (VNet) implementation that addresses common security concerns, and a business model favorable for on-premises SQL Server customers. The managed instance deployment model allows existing SQL Server customers to lift and shift their on-premises applications to the cloud with minimal application and database changes. At the same time, the managed instance deployment option preserves all PaaS capabilities (automatic patching and version updates, automated backups, high-availability), that drastically reduces management overhead and TCO. The managed instance deployment model is designed for customers looking to migrate a large number of apps from on-premises or IaaS, self-built, or ISV provided environment to fully managed PaaS cloud environment, with as low migration effort as possible. Using the fully automated Data Migration Service (DMS) in Azure, customers can lift and shift their on-premises SQL Server to a managed instance that offers compatibility with SQL Server on-premises and complete isolation of customer instances with native VNet support. With Software Assurance, you can exchange their existing licenses for discounted rates on a managed instance using the Azure Hybrid Benefit for SQL Server. 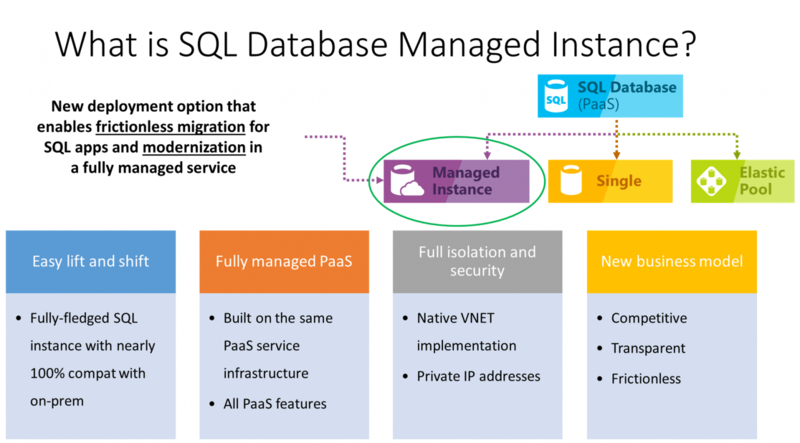 A managed instance is the best migration destination in the cloud for SQL Server instances that require high security and a rich programmability surface. The managed instance deployment option aims delivers close to 100% surface area compatibility with the latest on-premises SQL Server version through a staged release plan. Managed instance combines the best features that are available both in Azure SQL Database and SQL Server Database Engine. Connect to your data wherever it lives. Then explore your data with stunning interactive visualizations. 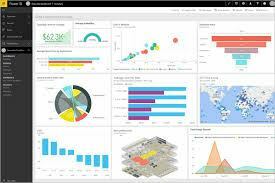 Go from data to insights in minutes with Power BI Desktop. Connect to hundreds of data sources on premises and in the cloud. Use Power Query to simplify data ingestion, transformation, integration, and enrichment. Create reports using built-in visuals, or create your own custom visuals. Publish reports and dashboards, collaborate with your team, and share insights inside and outside of your organization. Use Power BI Pro to create a data culture in your organization. Collaborate with users in every role across your organization. Publish real-time content that users can access in the office or on the go. Centrally manage your organization’s business intelligence. Take action with seamless access to insights from your desk or while on the go with Power BI apps built by Microsoft, our partners and your organization. See up-to-date business data on the go with the Power BI Mobile app, and set data-driven alerts about important insights so you can act right away. Developing your own app? Embed interactive reports into your current build with Power BI Embedded. 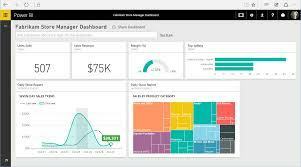 Power BI Premium lets you distribute reports without purchasing individual licenses. Share content broadly inside and outside of your organization. Scale when you’re ready, with even more capacity allocated exclusively to you. Enjoy the flexibility and easy deployment that only comes with a true SaaS service. 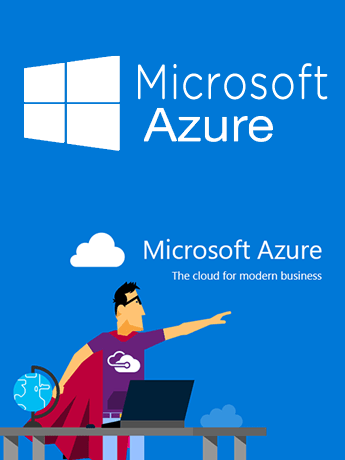 Microsoft Azure is an ever-expanding set of cloud services that helps your organization meet your business challenges. It gives you the freedom to build, manage, and deploy applications on a massive global network using your favorite tools and frameworks. Quickly turn your ideas into solutions to get up and running fast—just bring your code. Build applications with the language of your choice, including Node.js, Java, .NET, and use what you already know and love. Work with the best-in-class development tools for PC or Mac, such as Visual Studio and Visual Studio Code, to increase your productivity with features that let you focus on what matters most: writing great code. Get mobile apps into the hands of users faster by streamlining the mobile development lifecycle with Visual Studio App Center, including automated builds and testing for cross-platform, hybrid, and native apps on iOS and Android. Create a truly consistent experience across your hybrid cloud using comprehensive Azure cloud capabilities. Reduce complexity and risk with the platform, tools, and services designed to work together across your on-premises and cloud environments. Build and deploy your applications consistently, seamlessly manage data, enable anywhere access with single sign-on, and deliver integrated security and management across on-premises and the cloud. Take advantage of a comprehensive set of services, infrastructure, and tools to build AI-powered experiences. Build bots that naturally interact with users and built-in advanced analytics tools to make faster predictions. 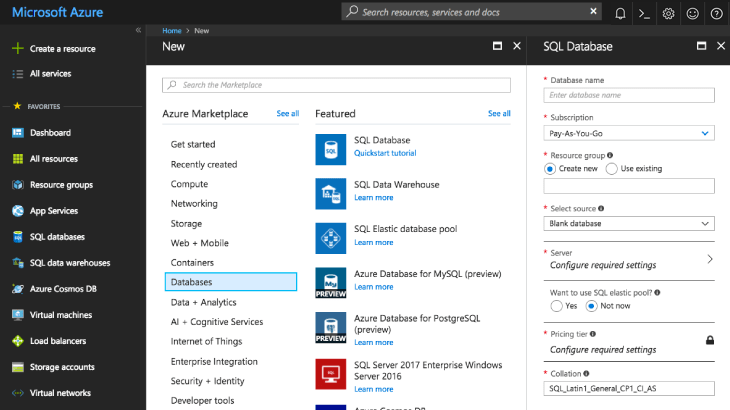 Use a rich set of Azure data and AI services such as Azure Databricks, Azure Cosmos DB, Azure Cognitive Services, and Azure Bot Service to enable new experiences in your apps for human-like intelligence. Rely on managed service capabilities such as built-in monitoring, threat detection, automatic patching, and backups. Dynamics 365 is a product line of enterprise resource planning (ERP) and customer relationship management (CRM) applications announced by Microsoft in July 2016 and on general release November 1, 2016, as a part of the Microsoft Dynamics product line. Dynamics 365 is sold in two editions, the Business Edition for small and medium-sized enterprises (SMEs or SMBs), and the Enterprise Edition for medium to large organizations. The Business Edition includes the Financials application. The Enterprise Edition comprises Dynamics CRM applications (field service, sales, project service automation, and customer service) plus Microsoft Power Apps, together with Microsoft’s premier ERP product, known as Dynamics 365 for Operations. Dynamics 365 for Sales. Reduce distractions and prioritize the top goals and opportunities to maximize your sales team’s performance, monitor results, and hold everyone accountable every step of the way. Bring your human capital management to the cloud for a mobile, employee-focused, strategic HR approach that helps you find and hire the right people, nurture success, and deliver high-impact, sustainable results. Personalize customer engagement, increase employee productivity, and enable retail transformation by creating an exceptional, insightful shopping experience that unifies digital, in-store, and back office retail operations with Microsoft Dynamics retail management. Use Dynamics 365 for Retail to improve your ROI and product demand by accessing a robust set of capabilities that help centrally manage your merchandising—including product information, categories, assortment, and pricing. More than 70% of Fortune 500 companies are using Microsoft SharePoint, the fact in itself makes it one of the most sought after corporation solution. Interestingly, they are all using it for different things. SharePoint is a platform for a number of different programs rather than being a single software program. Your employees can synchronize their efforts and communicate by tying their mobile devices and PCs together through the back-end system that SharePoint is. It is not something to purchase and install on a desktop computer. Whether you have a company where ten people work from a single office or one where hundreds of employees are spread across a region, SharePoint makes it possible to work with the same level of coordination and agility. SharePoint works with all Microsoft Suite products, as it is by Microsoft. SharePoint works natively with the Office suite, including PowerPoint, Excel and Word. So, if everyone in your office is familiar with MS Office, SharePoint can help enable even more features and enhance productivity even further. SharePoint is a web platform, which implies that anyone in the organization can access it at all times while using any browser. This is especially useful as the Bring Your Own Device (BYOD) trend catches on with organizations as well as employees. People using not just Windows computers, but those using Chrome or Macs can also easily access SharePoint and, therefore, all the information you want to make available to them as members of your organization or business partners. SharePoint works very well with mobility and geographical spread of companies. You have access to information for making better decisions and execute other business intelligence services based on the comprehensive access to your business’ data that SharePoint provides you. SharePoint can help you discover broader patterns, besides making it easier to search through all the files of your company. SharePoint can also assist with implementation by getting everyone in the company on-board once the course of action is decided. A variety of information, along with scheduled tasks, announcements and news in your company can be found on the internal-facing site everyone associated with the company can sign in and access. From the status of ongoing projects to client history to employee performance are among the topics about which different levels of information access can be granted to everyone, while customizing dashboards by role and department. 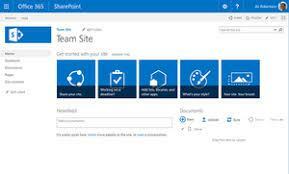 Company wikis and social networking platforms for employees can be set using tools that SharePoint provides. Everyone in the company can attend and visit seminars set up through the intranet of the company. Your web developers can also create and manage a creative public-facing website using SharePoint.. You can make changes to your web pages after signing in through SharePoint, which acts as a website Content Management System (CMS). You can build new pages, add graphics or text and update information. Documents don’t have to be locked on any one hard drive as shared space to store documents is available to businesses through SharePoint. Unless access has been limited to a small group by the administrator, SharePoint allows access to documents stored on it to everyone in the company. So, to obtain all files required for a task, you don’t have to wait for a number of emails or have to visit a number of offices. You can track updates, while saving previous versions, while you work simultaneously with your co-workers on single document through SharePoint. So you can get inputs from all the people you need to without having to email them different versions of the document. You can partner with outside businesses by sharing with them a site you create through SharePoint. You can give them a place to upload the information you need from them, while giving them access to information they need from you. The other business may be one you are contracting for a project a part of the supply chain of your company. SharePoint is built to extend the same ease of interaction that small groups located in a single location have to large groups who are geographically spread across a wide area. 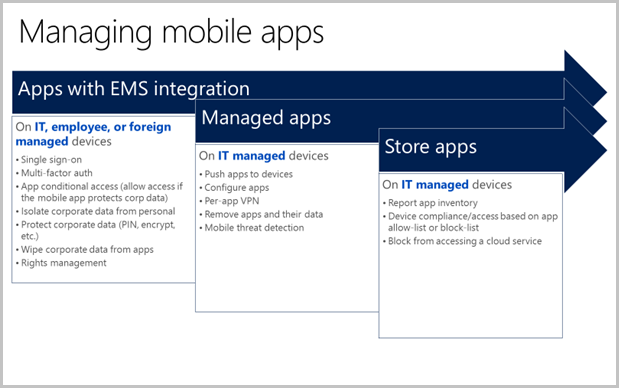 You can use any mobile device or desktop to access SharePoint. Access anything related to the project, including schedules and locations of co-workers, client histories, project status or other information from anywhere through SharePoint. Almost any aspect of collaborating for business that you can think of can be easily streamlined and customized through the implementation of SharePoint. This makes it a very powerful tool that doesn’t rely only on its out-of-the-box functions and features. The IPI Solutions Nigeria Limited has unveiled its new management team. The new management is made up of young individuals that have distinguished themselves in the technology industry in the past. The new management team, most of whom joined the company years ago, includes the Chief Operating Officer, Olayemi Tawheed, currently Isaac Oluwasola appointed as the Chief Cloud Architect/Head Business Solution Department. Others are Frank Ndigwe as the Chief Sales Officer and Onyekachi Mgbechi, General Manager, Abuja Operations. The IPI Solutions Nigeria Limited, Chief Executive Officer, Adamu Garba, expressed hope that the new management team was well prepared professionally in areas of technology deployment as enabler of modern business. According to him, “The new management team within the business units at IPI Solutions will also focus on fuelling the company’s continued expansion into other new innovation conformable to fourth industrial world. “The concept of work expected is from idealization and conceptualization to implementation of harmonious digital solutions that will induce new experiences for all our clients and stakeholders. “The company is focused and truly on a mission-critical for its customers and partners. The new management team (at IPI) has got a proven track record of maximizing the growth potential of a range of businesses, by leveraging on technology platforms. As the global digital age is evolving, companies, individuals and governments are transforming the information technology space to retain their competitive edge. As expected in the 21st century, companies and governments are increasingly seeking solutions that cater for their unique business solution, technology and user specific requirements. With the deployment of Information Technology, companies and government operations are driven by efficient, cost-effective, and minimizing risk in complex initiatives. As the world of productivity and digital usage is on the rise, an organization with the use of Information Technology is aimed at cost reductions, agility for improvement in profits, productivity, device and location independence, and improved security due to centralization of data. This initiates Cloud Computing; a new form of internet-based computing that provides shared computer processing resources and data to computers and other devices on demand. In Nigeria, there has been increased patronage of Cloud Computing as digital transformation is the only way for organisations to adapt in order to meet up with the current trend and this will not be possible without cloud, a powerful enabler. For this in Africa, IPI Solutions Nigeria Limited has evolved over the years to become one of the most trusted Cloud computing platform solutions in 17 African countries. IPI Solutions last year was chosen as Microsoft’s 1 Tier partner for its recently introduced Cloud Solution Provider (CSP) programme for West & Central Africa region and Nigeria. That alone provides IPI Solutions the opportunity to provide Microsoft cloud services covering the markets of the Angola, Botswana, Cabo Verde, Cameroon, Cote d’Ivoire, Ethiopia, Ghana, Kenya, Mauritius, Namibia, Nigeria, Rwanda, Senegal, Tanzania, Uganda and Zambia. Basically, Cloud computing allows the users and enterprises with various capabilities to store and processes their data in either privately owned cloud, or on a third-party server in order to make data accessing mechanisms much more easy and reliable. Cloud Computing model enable service providers leverage on the power of the cloud to deliver profound Information Technology services with stringent application of international best practices Experts claim that Cloud computing allows companies and Individuals to avoid up-front infrastructure costs. As well, it enables organizations to focus on their core businesses instead of spending time and money on computer infrastructure. With IPI Solutions on board, Cloud computing with Microsoft has been made easy comfortable and affordable. Being a Microsoft CSP allows IPI Solutions to sell Microsoft Cloud Services (Office 365, Microsoft Azure, Dynamics 365, Enterprise Mobility Suite and Microsoft) along with their own offerings and services. Armed with its expertise in Microsoft Azure, the IPI Solutions implements a simple process of designing, publishing web and mobile apps with customer specifics. Azure makes it easy and quick for businesses to leverage on the power of cloud to deliver cutting edge solutions, improve productivity and Return-On-Investment (ROI). IPI Solutions own the complete customer life-cycle through direct billing, provisioning, management, and support. In addition, the CSP program enables IPI Solutions to integrate service offerings with the Microsoft cloud services. As Microsoft CSP partner, IPI Solutions has developed an ordering portal for Microsoft cloud products where payment can be made either in foreign exchange or the local currency, Naira. The portal by IPI Solutions is an innovative self-service platform enabling customers and partners to independently initiate and conclude their ordering process online. The portal is the first comprehensive self-service ordering platform for Microsoft Cloud products in the country. This portal has reduced procurement time, lowered logistics costs and enhanced productivity. Customers can quickly and conveniently deploy Microsoft Cloud Services with full support from IPI Solutions IPI Solutions has 5 Microsoft Gold competencies including Messaging, Data-center, Cloud Productivity, Small and Mid-market Cloud Solutions, Application Integration. This has enabled IPI Solutions to deliver cutting edge enterprise Information Technology services to clients. Elaborating on the advantage of Cloud computing, Chief Executive Officer, IPI Solutions Nigeria Limited, Mr. Adamu Garba II, said Cloud computing is the most secure platform any business can depend on. He expressed that Cloud computing allows individuals and organisations access technology products and services, using any device of their choice by paying for only what they consume He said many companies consider cloud as less secure but it is simply lack of understanding on how cloud services operate. According to him, businesses that define themselves to giving the right products or services out there to their customers can only be efficiently sustained when they are sitting on the cloud. “That is why the sustainability of your business today depends on how highly available you are to provide the needed products and services to your customers. “All reasonable business services cannot afford any downtime below 99.9 per cent and to our record at IPI Solutions, it is only Microsoft that can provide such needed agility. So if you truly want your business to be sustainable you have to be on the cloud,” he said. Aside offering Cloud computing solutions, the indigenous Information Technology firm provides complementary solutions including Technology Advisory Services, Systems Integration, Managed Services, Enterprise Security Solutions, Unified Communication, Disaster Recovery Solutions, Analytics and Large Data Services, Line-of-Business Applications and other related services. In addition to the support services listed above, IPI Solutions offers the following value added services, Free basic setup and configuration services, Free Cloud readiness assessment services, Free Microsoft Azure advisory services. In addition to the support services listed above, IPI Solutions offers the following value added services, Free basic setup and configuration services, Free Cloud readiness assessment services, Free Microsoft Azure advisory services. IPI Solutions is customer centric Information Technology firms that understand that any downtime is at a cost of organization in terms of resources- the company ensures that client system is built to maximize up-time and availability. The Information Technology firm was incorporated out of a necessity to curb the ills that plagued the business technology solution industry, at a time where the norm in the industry was to focus on only sales margin and not on effective and conclusive project delivery. With the delivery of their professional, technology advisory, system integration, and managed services, IPI addresses the most pressing IT needs. Whether system management, collaboration or unified communications, IPI staff are Microsoft certified and competent experts, who can design the most efficient solution for individual needs—with optimized results and cost savings. In an instance, one of IPI Solution’s clients’ who had 400 agents nationwide attending to over thousands of customers, was facing issues such as service downtime, frequent user dissatisfaction, and delayed responsiveness to issues. IPI Solutions ended up recommending that they move to Azure and since deployment, there has been tremendous reduction in customer complaints while the service is always on and connected IPI Solutions has gained recognition from reputable organizations such as African Quality Achievement Award category from African Quality Institute as “Africa’s Most Reliable Quality Business Technology Solution Provider 2016”; “Microsoft Partner of the Year Competency Award 2016” from Microsoft Nigeria; “Top 100 Most Promising Microsoft Solution Provider 2016” by CIO Review, Fremont, California, USA; “30 Fastest Growing Microsoft Solutions Provider 2016” by Silicon Review; International Quality Summit (IQS) Award in “Gold category in Business Prestige and Business Excellence” by Business Initiative Direction (BID), New York, USA; “Africa’s Best Premium Microsoft Product and Services Provider 2017” by African Brand Congress (ABC) and “Most Important Business Excellence award in the world 2017” by the World Confederation of Businesses (WORLDCOB). For the future, IPI Solutions aimed at offering unparalleled solutions advantageous both to themselves and their customers, as well as increasing their client base within a vertical market. “We are currently developing our own intellectual property to help integrate solutions for our existing and prospective customers”, Garba added. Back in 2008 IPI Solutions Nigeria Limited was founded with the focus centered on building IT solutions around Microsoft Technology. Since then, IPI has evolved over the years as the most trusted IT solution provider and system integrator in both Nigeria and Africa. It is a Microsoft Tier-1 Cloud Solutions Provider Partner, and a Gold Partner with strategic competencies and specialization in delivering unique IT solutions across industry verticals. The company encompasses a variety of options to assess, deploy, manage, monitor and troubleshoot small to large IT infrastructures. Whether the clients want on-site support, remote monitoring or an always-available help desk, IPI provides the ideal solution for its client’s business with the help of its expertise in bridging the gap from technical platform to business process. Adamu Jauro Garba II, is the Founder and CEO of IPI Solutions Nigeria LTD. Adamu was born thirty-five years ago in Yola, Adamawa State, Nigeria to the family of Malam Garba Adamu Jauro Buba, an Islamic Scholar and Hajiya Hadiza Adamu Garba, a petty trader. He founded IPI Solutions in order to curb the ills which plagued the business technology solution industry at a time where the norm in the industry was to focus on only sales margin and not on effective and conclusive project delivery. Competency: IPI Solutions Nigeria is a very competent organization which consists of skilled and highly certified employees who efficiently deliver the services and solution on the client’s table. Focus: The organization entirely focuses on getting the right result for the customer. IPI always tries to put result first over any other consideration while delivering solution to the customers. Never give up: The potent team of IPI never gives up. The team always focuses and makes sure that it brings the right outcome for the client. They patiently stay as long as it takes to get the right result for the client. They do this with great determination. United force : The team is a united force in the organization – They operate a ‘militarized’ structure in their business approach and that gives them a chain of command that is highly efficient in information dissemination among the staff and with that they are able to have a daily unified force, and a common goal leading to efficient service delivery. Thus, their unity is one of the factors differentiating them from others. Focus: The team always focuses extensively on what they know how to do best. They don’t try to do everything like some organizations in the technology industry. They pick what they are good at and then keep pushing hard until they get the best out of it. Popularity of solutions: This has to do with how effective IPI’s solutions are for any organization that adapt to it, especially cloud. The company not only sells Microsoft cloud, but also sells the productivity output, service efficiency offered by those cloud solutions. This, more than everything else, made IPI’s products popular in the market. IPI Solutions do support & implementation and also cater for a specific requirement for any organization. That is what makes the company’s solutions popular, especially Microsoft cloud. Customer satisfaction: Customer satisfaction is the biggest driving force which inspires the company to keep aiming for greater heights. According to the company, in its initial years, the main challenge that IPI faced was trust factor. As its employees lacked prior history of service delivery, most of the organizations were skeptical in releasing projects that were technology driven. However, slowly the organization has been able to overcome all that. IPI’s hawk eyed focus on Microsoft technology has helped the organization to a large extent. The company was able to build a unique brand which was completely relevant to its sustained growth. Eventually, IPI also built skilled capacity around Microsoft technology. Thanks to this niche, the organization was able to distinguish and differentiate itself in the market as a preferred Microsoft partner. In a nutshell, IPI Nigeria’s focus in Microsoft solutions helped the organization to overcome initial challenges. When it comes to tackling competition, IPI Solutions always tries to focus, and to be professional. The organization’s main goal is to focus and excel in the cloud space which has earned it a lot of awards and accolades for it. According to IPI, unlike its competitors it will never be caught in the web of offering all solutions, rather IPI always tries to concentrate and apply its personal capabilities and resources to develop unique solutions based on international best practices. IPI Solution’s overall goal is to empower its customers by adding value to their businesses, increasing productivity, enabling efficient business operations and more importantly, by enhancing ROI. For the future, IPI Solutions aims at offering unparalleled solutions from which both the company and its customers will get advantages. Currently the company is developing its own intellectual property in order to help integrate solutions for its existing and prospective customers. In the short run, the company will keep on responding to technological needs of the industry by developing cutting edge cloud solutions aimed at improving productivity and business efficiency. As a Microsoft CSP partner, IPI Solutions has recently developed an ordering portal for Microsoft cloud products where one can easily pay by foreign exchange or by the local currency, Naira. The self-service portal enables customers and partners, who wish to purchase Microsoft products, to independently initiate and conclude their ordering process online. The IPI Solutions team is presently working to roll-out new products later in the year which include, Gloome, DaaS, CsaaS, and Centrum.com.ng. IPI Solutions Nigeria Limited today announced, that it has been approved by Microsoft Corporation into the Microsoft Cloud Solution Provider CSP) Program as a 1 Tier Partner. Stay at the center of the Microsoft cloud customer life-cycle. IPI Solutions Nigeria Limited has a proven set of cloud capabilities, and has been awarded a 1st Tier partnership. This is the program of choice for partners looking to provide an end-to-end customer experience, including customer support. In this model, the partner has a direct relationship with Microsoft. This program requires partners to have high capability standards to provide a great customer experience. The 1-Tier partner is approved by Microsoft and orders licenses on behalf of customers directly from Microsoft, rather than through another partner type. To get that relationship, a partner must have a series of capabilities. To qualify for 1-Tier, a partner must be able to bill, provide support, do technical integration and handle customer life-cycle management. Microsoft is also looking for partners with a business model around managed services IP and with broad market reach. Customers are demanding that more and more of their IT solutions be deployed in the cloud. Industry analysts agree this trend will not only continue, but accelerate in the future. This represents an incredible opportunity for IPI, as a Microsoft partner to build our business on top of Microsoft’s “cloud first, mobile first” vision. CSP empowers IPI Solutions Nigeria Limited. At IPI, we provide project services, managed services and are developing our own intellectual property built on the Microsoft cloud, customers want more from their service providers and now this can be offered by IPI. When first level questions come up, customers need help from their cloud solution provider. Being a 1st Tier provider IPI can offer this service to all clients. Customers want a single, simple way to understand their bill for all the cloud services they consume. IPI will consolidate all your Microsoft services, licenses and cloud solutions onto one understandable invoice. Do you want to understand more about how Microsoft can help you and your business in the cloud? Contact IPI Solutions Nigeria Limited your CSP for assistance. We have more than 8 years IT experience and will be able to assist you in this process. Physically service the whole Nigeria and our current CSP coverage includes: Angola, Botswana, Cabo Verde, Cameroun, Cote d’Ivoire, Ethiopia, Ghana, Kenya, Mauritius, Namibia, Nigeria, Rwanda, Senegal Tanzania, Uganda, Zambia. We can provision your subscription from the listed countries above and can remotely assist you, wherever you are in the world. We have evolve over the years to become one of the most trusted IT Platform Solution Provider and system integrator with awards and recognition from reputable organization such as African Quality Achievement Award category from African Quality Institute as “Africa’s Most Reliable Business Technology Solution Provider 2016”, “Microsoft Partner of the Year Competency Award 2016” from Microsoft Nigeria , and Top 100 Most Promising Microsoft Solution Provider 2016 by CIOREVIEW, Fremont, California, USA. The Chief Executive Officer, IPI Solutions Nigeria Limited, Mr. Adamu Garba II, in this interview with Prince Osuagwu, spoke on how Nigeria can pull out of economic recession and the need for more businesses to adopt cloud for efficiency and improved output. YOUR company has been spearheading the call for the adoption of cloud computing. What is cloud computing all about? Cloud is a computing model, where individuals and organisations get to access technology products and services, using any device of their choice by paying for only what they consume. So you may either consume productivity service or platform services like applications or infrastructural services. So, the level of consumption determines what you pay for and in many cases far cheaper compared to current technology systems. How would you rate cloud adoption by public and private enterprises in Nigeria? The cloud adoption in Nigeria is exponential because nearly every individual gets to consume cloud services whether consumer based services or enterprise based services. Considering statistics on Nigerians that have internet access, 93 million Nigerians are cloud customers already. Although most of them access only consumer cloud products like Facebook, etc. What is the value of cloud solutions to business sustainability? Ultimately, businesses that define themselves to giving the right products or services out there to their customers can only be efficiently sustained when they are sitting on the cloud. For instance, you can’t imagine any business in Nigeria or anyone in Africa that can provide the amount of infrastructural scale and capacity compared to Microsoft data centers worldwide. Furthermore, the degree of business sustainability can be measured by how your products and services are accessible, reachable, always available and can also provide the needed agility in line with your business operations model. That is why the sustainability of your business today depends on how highly available you are to provide the needed products and services to your customers. All reasonable business services cannot afford any downtime below 99.9% and to our record at IPI it is only Microsoft that can provide such needed agility. So if you truly want your business to be sustainable you have to be on the cloud. How secure is cloud for business? Cloud is the most secure platform any business can depend on. Although many companies consider cloud as less secure but it is simply lack of understanding on how cloud services operate. However, any business that is not an Information Technology (IT) business has no business running cloud infrastructure in their business on their own. For example, the reason why you take your money to the bank to save is simply because you are not a banker and you do not have the appropriate structure to secure your money, and the reason why you go to the hospital when you are sick, is because you are not a physician and the reason why you pick your children and put them in schools is because you are not a teacher or a professional trainer. In a similar fashion you have all reason to put your data in the hands of professionals whose job is to guarantee the confidentiality, security, integrity of the information at any point in time and these professionals work 24/7 to provide the excellent service. The level of security built around the cloud is unmatched, it is the most secure platform for you to save your data , provided the information you saved is not harmful to the society, and it runs your business than any other isolated data center you can ever think about. Nigeria is presently in economic recession. Do you see adoption of cloud pulling the country out of recession? The reason we have sunk into recession is lack of proper planning and adequate use of available resources in administering public services. The way our economy is structured is dependent on a single product (petroleum) to generate our forex whereas our greater goldmine is in the people of the country. Only a lazy country will rely only on natural resources for sustainability. No country has ever depended on only natural resources for its economic growth and sustainability. The biggest resource Nigeria has is its people. Imagine the Nigerian system investing more in the youths (about 65 percent of the population) and imagine this investment is in technology, the economic activities and the revenue that would turn around the economy will be far bigger than imagined. Each and every young Nigerian is a potential talent, the only thing they need is the resources to empower them and the easiest and most accessible tool is technology and what better technology than the cloud? We need to invest in our youths by encouraging them to be innovative by tapping the power of technology. Take for instance countries like China and India, none of them has an oil well yet the net investment the people are returning has established them as part a global powers. Companies like Apple, for example generated a gross revenue of $215 billion in 2015 with roughly 66,000 talented employees. That means that 66,000 were able to produce more than half of Nigeria’s GDP because they had enabling laws, convenient environment, encouraging economic and political system. Think about Nigeria with approximately 200 million people, if the government should empower only one percent at half Apple’s capacity, this number only is more than enough to give us more revenue than oil has ever given us. This is what our policy makers, regulatory agencies and government should be looking into. So to get out of recession, we need to empower Nigeria’s future by investing a lot in its youths because that is the only asset that Nigeria has that is dependable and we also need to procure technology tools that can check the menace and tendencies of corrupt individuals exploiting the system. The best of all tools is the technology delivered through the cloud that meets all the transparency and accountability standards. The current government stands to leverage on the power of cloud technology in its drive towards job creation and elimination of corruption. With these tools in place, then the government is working truly towards inclusive economic system that will take us out of recession in the shortest possible time. The world is shifting towards digitization, how do you think Cloud can help Nigeria to achieve digital transformation? Digital transformation is actually another term for “fourth industrial revolution”, and fourth industrial revolution is the new global order. This is why individuals and group organizations, both private and public are expected to follow through in realizing their true potentials. No nation or group / individual will succeed in today’s interconnected global economy without going digital. In a knowledge economy and the information world we live in, the faster your information is available to people or group looking for you or your services or investing in your nation, the more they attest to your probity and diligence in your systems. There is no way a government can succeed without going digital. Policy makers, regulatory agencies, government executives need to closely work with private institutions or organizations in order for them to achieve alignment with the current global trend. The Oxford, United Kingdom based Europe Business Assembly (EBA) has endorsed and licensed IPI Solutions Nigeria Limited as one of the “Best Enterprises in Information Technology (IT). The license is valid from June 30, 2017. In accordance with the principles and regulations of the “Best Enterprises” award, the Chief Executive of IPI Solutions Limited, Adamu Garba II, has been recognized and endorsed as one of the managers of the Year 2017 by the global body. The BEA is responsible for the International Socrates Awards (ISA). The past nominees of Socrates Awards include politicians, businessmen and women, scientists, artists, and those whose works have helped to deepen the economic, scientific and cultural development of society. Garba II expressed his appreciation for the award and pledged his company’s commitment to the ideals of global business standards and corporate best practices. He pointed out that competency, focus on getting the right results, determination, a can-do spirit and focusing on team knowledge were responsible for the company’s growth and success. Being a leading cloud solutions provider and offering high-end systems integration services, IPI Solutions Nigeria Limited is currently a 1-Tier Cloud Solutions Partner (CSP) and a Gold Partner to Microsoft. The company has over five strategic competencies in the Gold category in Microsoft core competency areas. IPI Solutions has been in the forefront of advocating for cloud adoption for enterprise organisations, helping them to achieve more and reducing their cost of ownership in the IT space. IPI Solutions Nigeria Limited has announced the inauguration of its Cloud Solutions Provider (CSP) online ordering portal for Microsoft solutions and licenses. Countries covered in the online CSP procurement scheme include Nigeria, Ghana, Cote d’Ivoire, Senegal, Cameroun, Angola, Botswana, Cape Verde, Ethiopia, Kenya, Mauritius, Namibia, Rwanda, Tanzania, Uganda, Zambia. All you need to do is to access the portal from any browser and follow the self-service procurement process. “With the Microsoft CSP portal fully operational and integrated with our www.ipigroupng.com Cloud Marketplace, customers can easily buy Microsoft cloud products by logging in to the portal, select any product they wish to buy, make payment, get their request processed and delivered even within a day. This has effectively reduced procurement time, logistics costs and enhanced productivity as it has enabled our customers to quickly and conveniently deploy Microsoft Cloud Services such as Office 365, Azure, Enterprise Mobility, CRM Online, Intune, Windows 10 Enterprise and Microsoft Dynamics AX Cloud offering with full support from IPI.” Said Garba. IPI Solutions Nigeria Limited is excited to announce that it has been chosen as Microsoft’s 1 Tier partner for its recently introduced Cloud Solution Provider (CSP) programme for West and Central Africa region and Nigeria. The CSP partnership will see IPI Solutions Nigeria Limited be able to provision Microsoft cloud services covering the markets of the Angola, Botswana, Cabo Verde, Cameroun, Cote d’Ivoire, Ethiopia, Ghana, Kenya, Mauritius, Namibia, Nigeria, Rwanda, Senegal Tanzania, Uganda, Zambia. “The partnership allows us at IPI Solutions to integrate our www.ipigroupng.com Cloud Marketplace into the Microsoft CSP programme by enabling our customers to quickly and conveniently deploy Microsoft Cloud Services such as Office 365, Azure, Enterprise Mobility, CRM Online, Intune, Windows 10 Enterprise, and the newly provisioned Microsoft Dynamics AX Cloud offering. Its IPI Cloud marketplace is an aggregation portal integrating cloud services that will offer customers, partners and re-sellers a marketplace for all workloads and technologies across industry verticals. The Microsoft CSP programme integration is the latest addition to our IPI Cloud Marketplace portal that offers a single sign-in platform for all cloud services with a billing, provisioning, automation, support and online payment option” said Adamu Garba II, the IPI Solutions Nigeria Limited CEO. As a Microsoft CSP we offer our customers continuous monitoring and maintenance for both network and applications, we monitor and maintain your network proactively, thereby cutting down cost. “We will ensure that your system is always on, always connected and continuously available to service your requests. Here at IPI Solutions we are customer centric and we understand that any downtime is at a cost to your organisation in terms of money and resources, so we will ensure your system is built to maximize up-time and availability. 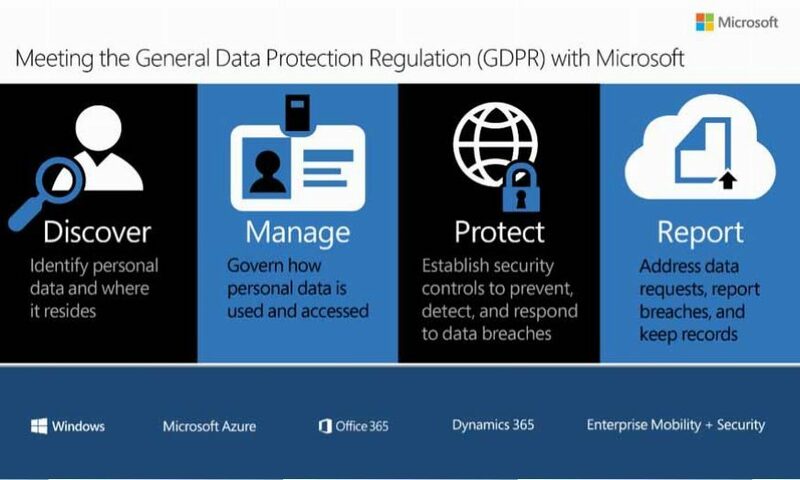 “We understand that data security is very important and as your Microsoft CSP, we understand that Microsoft is the organization to meet almost all the regulatory standards in data security and privacy including ISO 27017 and 27018, leveraging on Microsoft Azure Cloud Computing platform and other Microsoft productivity suites. We are able to offer you exceptional cloud security with great safety measures like regularly scheduled full backups, server redundancy and reboots within Microsoft 22 region Geo- redundant data center facilities that offer maximum protection against threats and power outages. Here at IPI Solutions we are great trouble-shooters, we can assure you that we are able to handle whatever problems you may encounter, whether they involve your system, applications, or codes. As our customer, we can assure you that you would get exceptional customer support.” concludes Garba. IPI Solutions has evolved over the years to become one of the most trusted IT Platform Solution Provider and system integrator with awards and recognition from reputable organization such as African Quality Achievement Award category from African Quality Institute as “Africa’s Most Reliable Quality Business Technology Solution Provider 2016”, “Microsoft Partner of the Year Competency Award 2016” from Microsoft Nigeria, and Top 100 Most Promising Microsoft Solution Provider 2016 by CIOREVIEW, Fremont, California, USA. Information Communication Technology Company and Microsoft Gold partner in Africa, IPI Solutions Nigeria Limited,has unveiled an enhanced version of its online ordering portal for Microsoft cloud solutions and licenses. 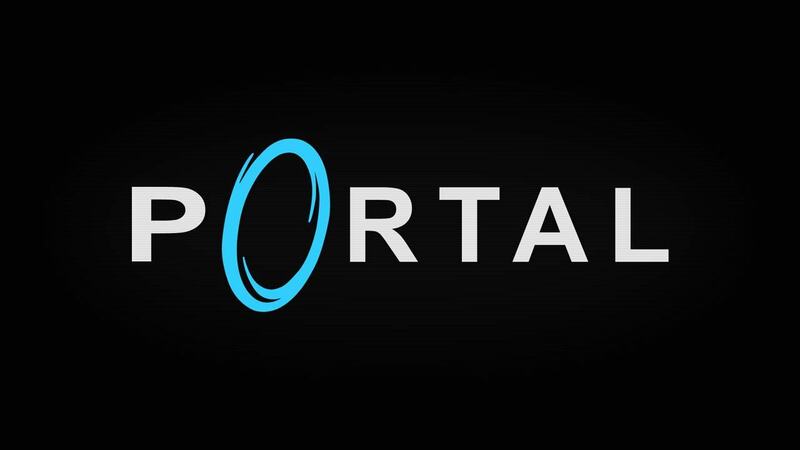 The portal was initially commissioned earlier in the year for a test run, now repackaged for efficiency. According to the company, the platform, fully operational with enhanced features offers an innovative self-service, enabling customers and partners to independently initiate and conclude their ordering process online and get delivery within 2 hours. It is seamlessly integrated with www.ipigroupng.com, an IPI Solutions website, which enables customers to independently login and order for Microsoft cloud solutions of choice on a self-service basis. The innovation thus allow customers to pay with their existing naira card thereby helping them to save on their planned Forex investments. For customers outside Nigeria however, IPI Solutions accepts only USD as a means of payment. Speaking at the commissioning event, the Chief Executive Officer of the company, Mr. Adamu Garba II, explained that the new offering, hosted on Microsoft cloud infrastructure has positioned the company as the provider of the first comprehensive self-service ordering platform for Microsoft cloud products in Nigeria. Customers can now access the platform from any location, initiate their buying process, make payment and get delivery support of any Microsoft Cloud solution they wish to purchase. Being a 1-Tier Microsoft Cloud Solutions provider (CSP), our online ordering service covers Nigeria, Ghana, Cote d Ivoire, Senegal, Cameroon, Angola, Botswana, Cape Verde, Ethiopia, Kenya, Mauritius, Namibia, Rwanda, Tanzania, Uganda, Zambia. All that customers needed to do is to access the portal from any browser and follow the self-service, user-friendly online procurement process. Business entities understand that technology is critical for simplifying operations and creates the platform for sustainable business growth. With the ordering portal fully operational and integrated with our www.ipigroupng.com, our customers can easily buy their Microsoft cloud products by logging into the portal, select any product they wish to buy, get their request processed and delivered within 2 hours. This is a pain-free, innovative and simplified approach to ordering your Microsoft Cloud products via online from any location,as said by Garba. The self-service model has effectively reduced procurement time, significantly lowered logistics costs and enhanced productivity as it has enabled customers and partners to quickly and conveniently deploy Microsoft Cloud Services such as Office 365, Azure, Enterprise Mobility, Dynamics 365, Intune, Windows 10 Enterprise, and Microsoft Secure Productive Enterprise (SPE) Packages with full support from the company. Click on ‘Complete Order’ to complete process while service will be delivered within 2 hours. “The new portal comes with a lot of benefits for customers some of which are flexibility to choose a billing circle which could be monthly, quarterly, bi-annually and annually; accepts Naira from Nigeria hours; price rebate; delivery within 2 hours; increased productivity and efficiency among others. “Being a Microsoft Gold Partner and a Tier 1 Cloud Solution Provider (CSP) for West and Central Africa region and Nigeria, IPI Solutions has shown great commitment and philosophy of putting customers first through the provision of complete end-to-end cutting edge IT solutions. With the inauguration of the enhanced ordering portal, customers can now procure their Microsoft products licenses and subscriptions faster, cheaper and the full assurance of working with a trusted Microsoft Gold and CSP partner, Garba added. It is a season of awards for leading cloud infrastructure solutions provider, IPI solutions, which bagged the Microsoft CSP Partner of the Year Award. In recent time, the company has been swimming in award recognition both on the local and international scene. A recent one came from Silicon Review Magazine, a United States-based media right. The latest award presented to the firm at the FY18 Microsoft Nigeria Partner kick-off event in Lagos and came at the eve of the company preparations to launch a suite of new solutions built around the Microsoft cloud technology. According to the sponsor of the award, it usually acknowledged partners that have demonstrated highest level of excellence in delivering unique cloud solutions around Microsoft technology space and provided the highest revenue to cloud-related solutions for the fiscal year. Hence, IPI Solutions is recognized among top partners in demonstrating excellence in innovation and implementation of customer solutions based on cloud technology. Speaking on the achievement, Chief Executive Officer of Microsoft, Satya Nadella, said, Digital technology is impacting all aspects of our society and economies, creating unprecedented opportunity for organisations of all sizes. “I’m optimistic and inspired by the ingenuity of customers, partners and developers everywhere that are pushing the frontiers of what’s possible with mixed reality and artificial intelligence infused across Microsoft 365, Dynamics 365 and Azure, to transform and have impact in the world”. The FY18 event signaled the beginning of 2018 business year for Microsoft which has undergone huge changes, both in focus, direction and approach on enabling digital transformation for a better society. The event also afforded it the opportunity to share the strategic changes in the Partner landscape, new priorities, and direction with the partners from all over the country. The occasion also featured engaging sessions, understanding the FY18 vision, how to provide the best solutions to customers and honor outstanding achievers from the past fiscal year. Microsoft Cloud Solution Provider, IPI Solutions, recently provided General Data Protection Regulation, compliance to two firms in the country, making it the first indigenous company to do so in Nigeria. This is on the heels of developments surrounding the application of the new GDPR regulation. It is in line with the mandate given to organisations for the start up for immediate actions to ensure compliance. 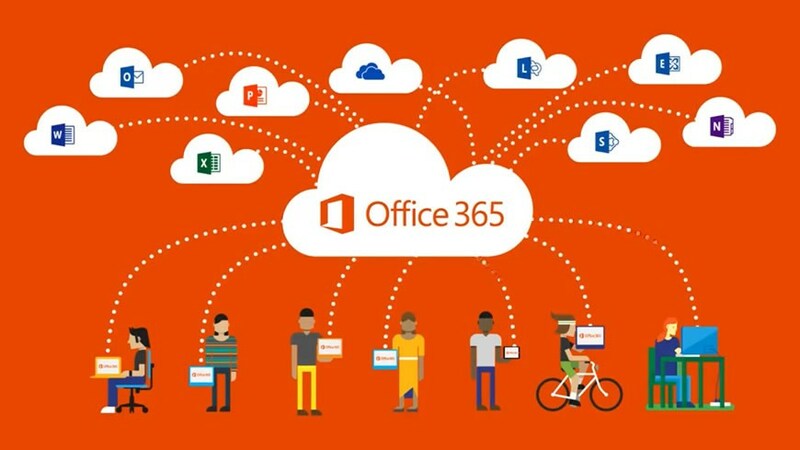 The CTO of the Microsoft Cloud Solution Provider, said the company was able to structure precise strategies and implement inbuilt measures that would by default cut across all spectrum required to ensure that strong privacy rights and data are protected and breaches also reported. This was done being mindful of the lengthy and complex requirements needed to attain the required standard. He said: ”In the wake of the most recent events and developments surrounding implementation of the new GDPR regulation, organisations were not only taken unaware by the said statute but also mandated to initiate immediate actions to ensure compliance. “Forming part of the major sectors and/or organisations to have been blown and engrossed with the unprecedented burden of aptly responding to the regulation amongst others were primarily legal firms (particularly those having clienteles who are EU members) due to the nature of their business and operational activities which essentially features processing and managing sensitive data and information of clients, most of which are also personal. “Consequent to attaining the said compliance, two leading indigenous law firms by solely utilizing the technical aids (cloud solutions, consultations and support) both initiated and implemented by IPI Solutions Nigeria Ltd (A 1-Tier Microsoft Cloud Solution Provider) were able to attain the required standard for compliance. 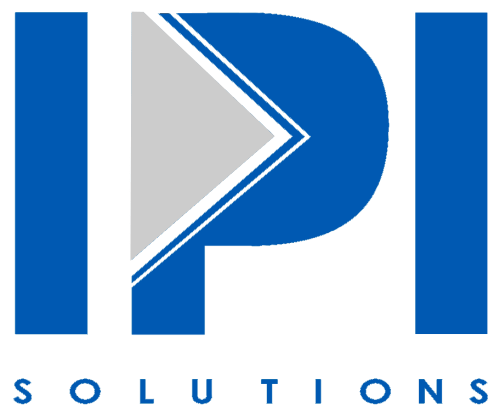 “IPI Solutions as we know is one of the foremost leading 1-Tier Microsoft CSP Partner within the country that have overtime proven their expertise in proffering peculiar technological business solution across all sectors they cover. “Validating their innovative approach and degree of technological expertise have been the numerous consistent recognition and awards received from credible international bodies. Examples of which are the IQS Awards Gold Category In Business Prestige And Business Excellence, Innovative Award of Excellence in ICT System Integration, Disaster Recovery And Enterprise Management just to mention a few. “Improved data policies and processes to support data subject rights and ensure lawful processing. 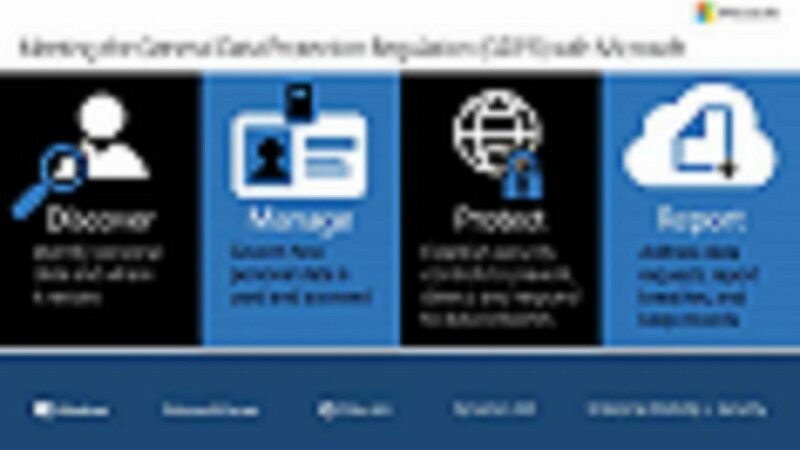 “Tighter controls to manage and protect personal data. “Better governance tools for better transparency, record keeping and reporting. IPI Solutions was able to significantly simplify the whole process for both firms by simply utilizing one of their countless Microsoft cloud solutions (Office 365). “The cloud solution in question he said comes along with a Compliance Manager tool which helps to centralize the whole compliance management process and also proffers real time assessment. “With the compliance process being a two-way trail between both parties (Microsoft and IT Administrator) sharing respective responsibilities, the compliance manager helps indicate how Microsoft meets its responsibilities and also what is required to be done by the second party (IT Administrator) to attain the required compliance standard. Furthermore, the tool also enables the ability to modify the dashboard to reflect only regulations applicable to the organization respectively. “With this feature, both firms were availed with the opportunity to be in the loop at all times regarding the necessary actions that would be taken to ensure compliance sustainability and even goes further to proffer suitable avenues upon which pre audits can be prepared. Affirming this was the success both clients recorded in the recent audit assessment they undertook with international company Mobile. “As data security and privacy, specific tools aiding identity and access management were initiated to enable the protection of information both at the identity and documentation level. Also inclusive were tools to help identify threats and ensure for an apt recovery if there be any case of attack. Similar to a standard Linux distribution, the Linux kernel is integral to the NVA’s image and is provided by the ISV often customized. The kernel itself includes the drivers needed for all network and disk devices available to the virtual machine. The version and customizations made to the NVA’s kernel will often impact the performance and functionality of the virtual machine. As new networking enhancements are made to the Azure platform such as performance improvements or even entirely new networking features, the ISV may need to update the software image to provide support for those enhancements. Often, this entails updating their version of the Linux kernel from the upstream Linux project. Pricing for NVA solutions may vary based on product types and publisher specifications. Software license fees and Microsoft Azure usage costs are charged separately through the Azure subscription. 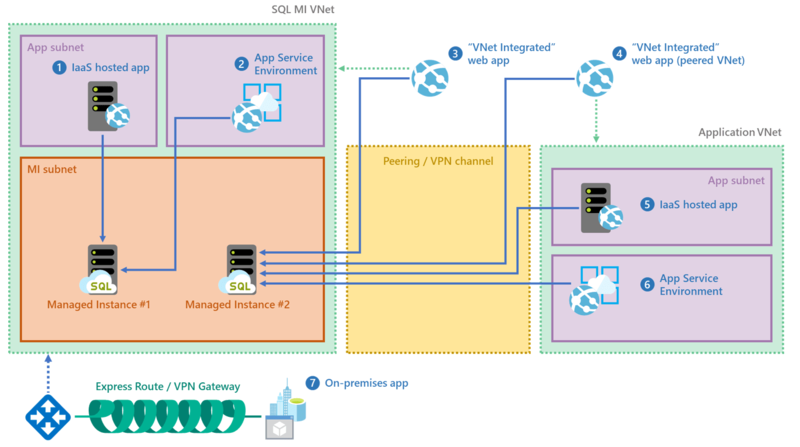 Another example below shows a NVA with Azure Virtual WAN. Azure accelerated networking support: Consider a virtual appliance that is available on one of the supported VM types with Azure’s accelerated networking capability. Accelerated networking enables single root I/O virtualization (SR-IOV) to a VM, greatly improving its networking performance. This high-performance path bypasses the host from the datapath, reducing latency, jitter, and CPU utilization for use with the most demanding network workloads on supported VM types. Accelerated networking is supported on most general purpose and compute-optimized instance sizes with two or more vCPUs. Multi-NIC support: A network interface (NIC) is the interconnection between a VM and a virtual network (VNet). A VM must have at least one NIC, but can have more than one depending on the size of the VM you create. Many network virtual appliances require multiple NICs. With multiple NICs you can better manage your network traffic by isolating various types of traffic across the different NICs. A good example would be separating data plane traffic from the management plane and hence the VM supporting at least two NICs. A VM can only have as many network interfaces attached to it as the VM size supports. If you are considering adding a NIC after deploying the NVA, be sure to Enable IP forwarding on the NIC. The setting disables Azure’s check of the source and destination for a network interface. HA Port with Azure Load Balancer: Azure Standard Load Balancer helps you load-balance TCP and UDP flows on all ports simultaneously when you’re using an internal load balancer. A high availability (HA) port load balancing rule is a variant of a load balancing rule, configured on an internal Standard Load Balancer. You would want your NVA to be reliable and highly available, to achieve these goals simply by adding NVA instances to the back-end pool of your internal load balancer and configuring a HA ports load-balancer rule. Support for Virtual Machine Scale Sets (VMSS): Azure Virtual Machine Scale Sets let you create and manage a group of identical, load balanced VMs. The number of VM instances can automatically increase or decrease in response to a demand or a defined schedule. Scale sets provide high availability to your applications, and allow you to centrally manage, configure, and update a large number of VMs. Scale sets are built from virtual machines. With scale sets, the management and automation layers are provided to run and scale your applications. You can easily track employee accomplishments, ensure completion of required certifications, and recommend additional training and developmental opportunities to further employee careers.